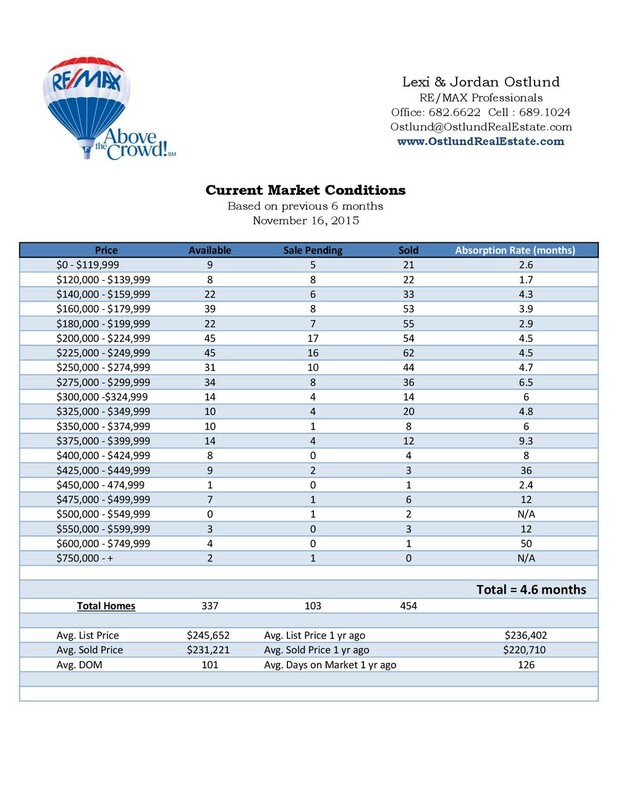 Year to date 789 homes have sold . This is 25 more homes than these dates last year. Our average days on market has dropped for a 6th straight month and now sits at 101 days. Our inventory has dropped slightly from 350 homes last month to 337 this month while our pending sales remained strong at 103 homes under contract. The absorption rate is 4.6 months which is virtually unchanged from the past several months. Please contact us when we can be helpful. We are happy to provide additional information or answer any questions you may have. As always, the greatest compliment you can give us is the referral of a friend or family member. We are never too busy for your referrals!